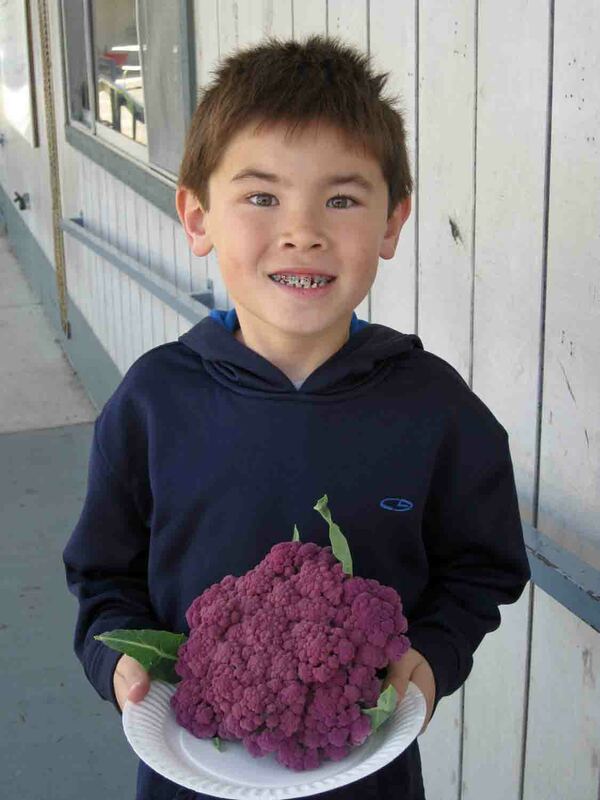 Teacher Renee Keeler's second grade classes at Lee Elementary School in Los Alamitos are reaping the harvest from the garden they tended since September. Wow, that purple cauliflower is amazing! All their hard work paid off. 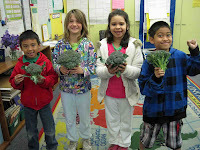 Students enjoy tasting the produce they grow and, as Mrs. Keeler says, "you couldn't get anything fresher from the Jolly Green Giant himself." 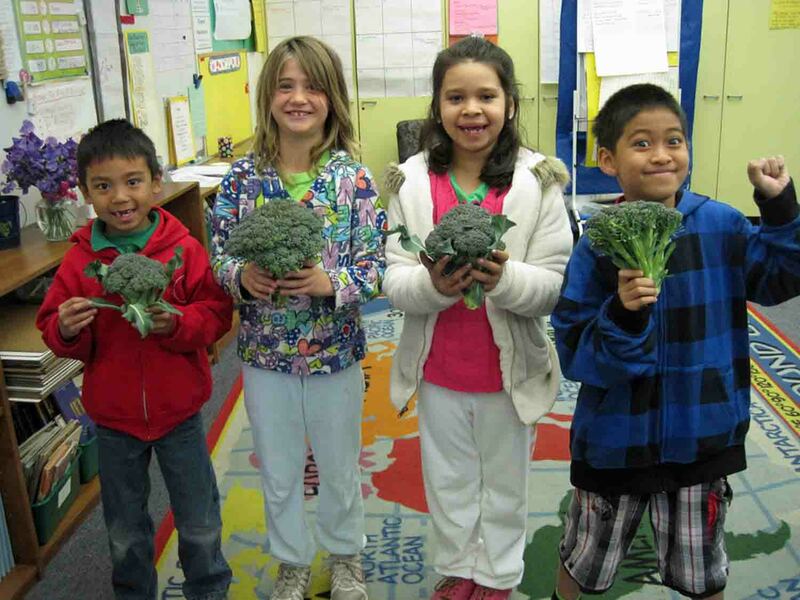 The broccoli was a huge hit - it was quickly grabbed by the students and they wanted even more for snacks! These little farmers' carrots are finally coming along (although there wasn't not enough winter this year) and their California poppies are in full bloom. And, everyone is thankful for the rain that finally came for a few days. Agromin, producer of premium organic soils and mulches, donates the organic products that are used in the school's garden areas as well as mulches for their plant beds.